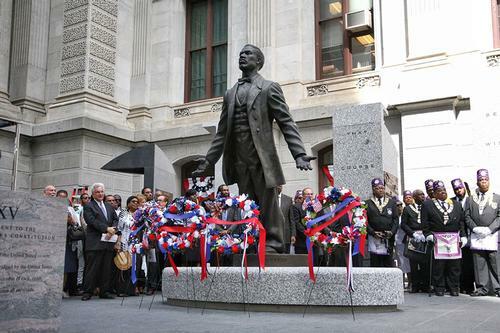 Back in September, the city of Philadelphia unveiled the first new statue at City Hall since 1923 and the first of an African American on any city-owned public property – that of 19th-century civil rights activist, scholar, athlete, and community leader Octavius V. Catto. I attended the unveiling that day and recorded a live video for the Free Library’s Facebook page, which quickly became one of our most-watched and most-commented-on pieces, generating numerous conversations between Philadelphians who clearly shared in the pride of what the day was all about and what the moment meant. 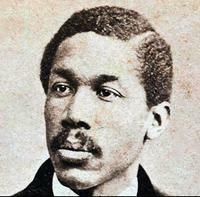 Now, as we commemorate Black History Month here at the Free Library and across the city, our celebration of Octavius Catto continues. We are pleased to present a series of Catto-focused workshops at various Free Library locations, some geared toward school-aged children and others toward the whole family—all of them including hands-on activities, examination of primary sources, and a screening of History Making Productions' “Octavius V. Catto: A Legacy for the 21st Century”, followed by a discussion led by local Catto experts. To learn more about Octavius V. Catto and his significance in Philadelphia, watch this video and tag along on our journey to follow in his footsteps around the city! For a complete up-to-date listing of all upcoming Free Library Black History Month events, visit freelibrary.org/blackhistorymonth. We also welcome you to check back in here for more Black History Month blog posts throughout February! Celebrate Black History Month with the Free Library at one of our system-wide Ocavius Catto workshops and film screenings! Attended the presentation by Amy Cohen on Mr. Catto.. Fantastic program.. Made me eager to learn more!! I wish he was alive today to tell him all I have inside my grateful heart. For in the treasure files of history he will forever be an astonishing human being!